These pigs will eat most anything – it doesn’t matter what. 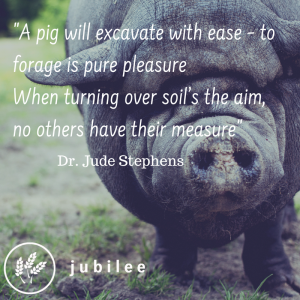 You’ll seal a friendship with your porker – if you take the trouble. 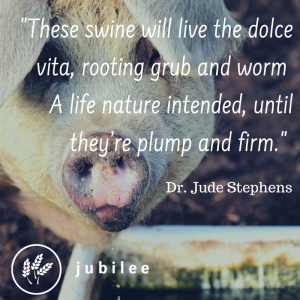 A life nature intended, until they’re plump and firm. Exceptional in quality all perfect at their peak. 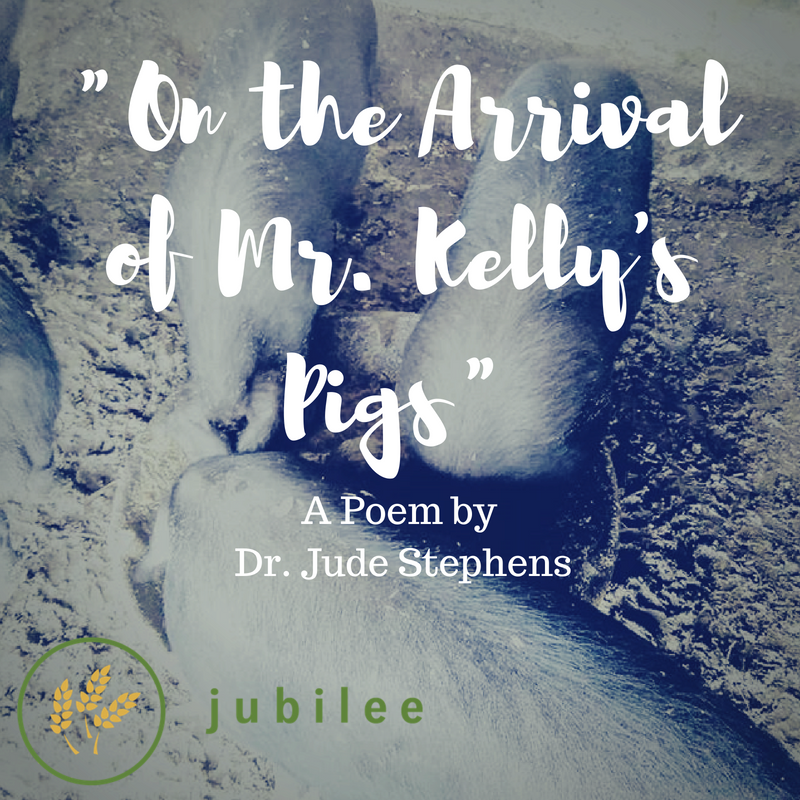 Their stoutness does you credit for pig husbandry’s a gift! It’s very nearly time to give Your Sunday roast a lift. 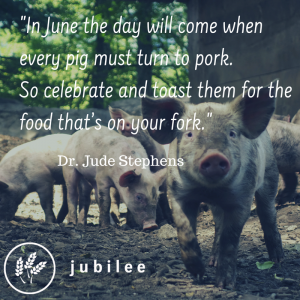 So celebrate and toast them for the food that’s on your fork.